Thread: Can anyone help with some info? If anyone could give me some info like date of manufacture, value, etc about these I would greatly appreciate it. Seems broker isn't too helpful. 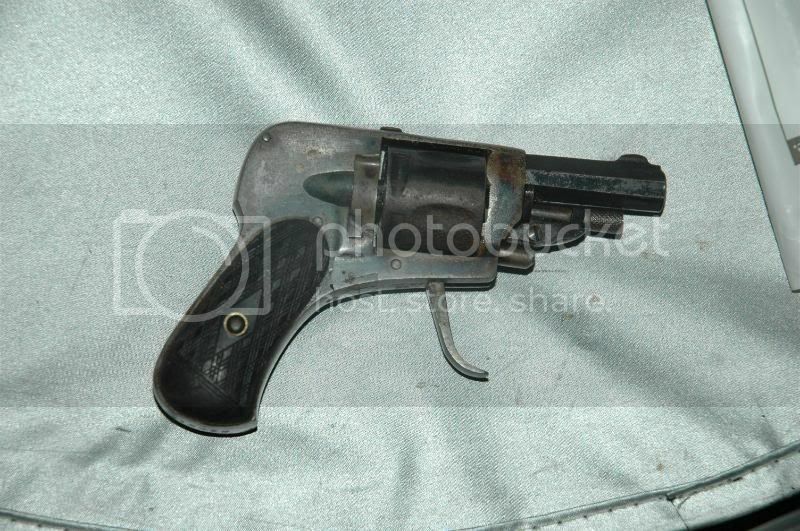 There aren't any names that I saw on the first one, just markings and a serial number on the bottom of the grip. This one has "Calibre 6m/m" on the right side just under the front of the cylinder. It also has "FRANçAISE D'ARMES ET CYCLES" and something about "St Etienne" on the top of the frame (I wasn't able to get a pic and don't remember exactly what it was). The "R" in the crowned circle in the first picture seems to be the final revolver proof mark by the Eibar proof house of Spain. These appear to me to be what was referred to as "velopeds", which were small-caliber pistols carried for protection against dogs while bicycling. 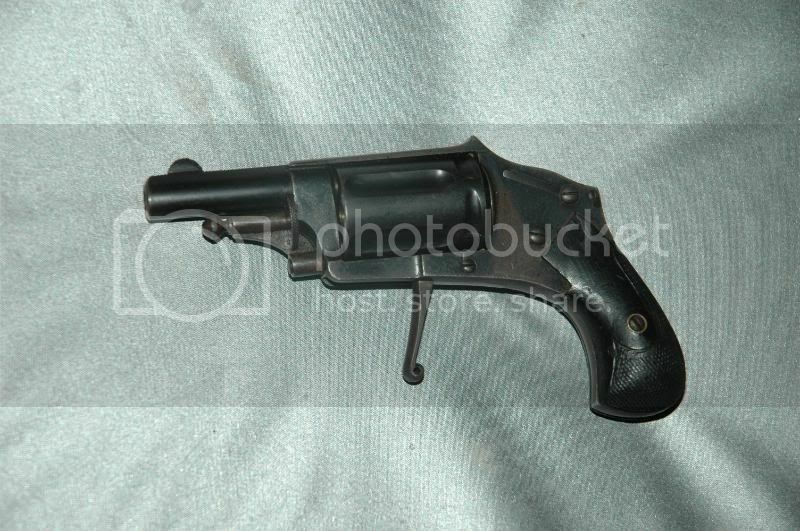 The front-folding trigger was an aid in carry in pockets, etc. while on said bicycle. 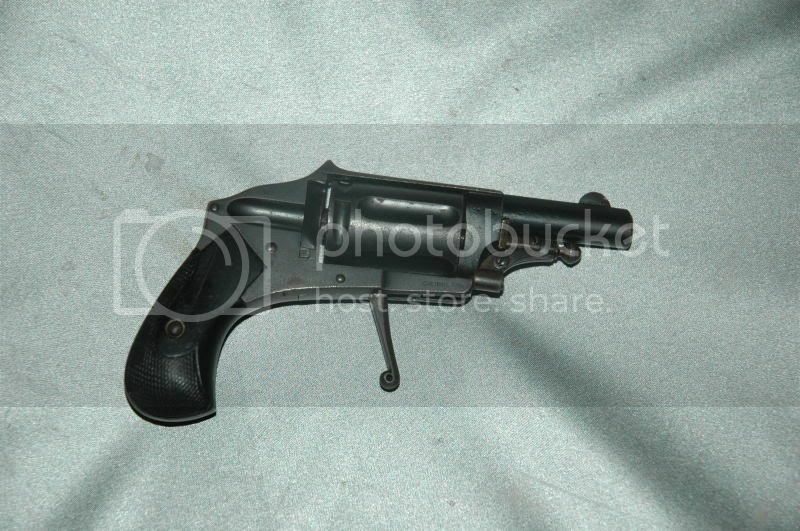 I could find no pictures that would allow me to identify the exact guns in your post. I'm sure someone will be along shortly to confirm or to correct my identification. These are both what are known as "Velo-Dog" revolvers, from the French "velocipede", for "bicycle" (these small pocket revolvers were originally sold to bicycle riders so they could shoot dogs that were attacking them). 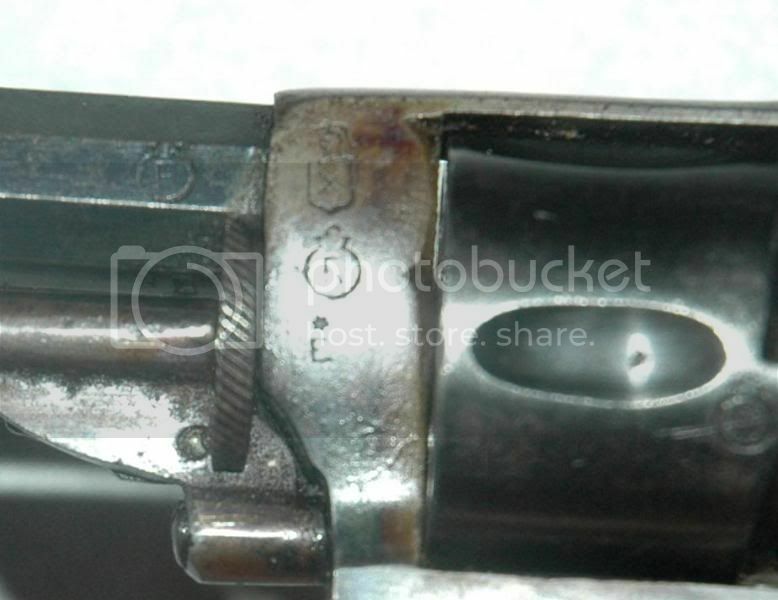 The first picture is of a Spanish Velo-Dog, but these revolvers were made and copied by gunmakers in Belgium, France, and Spain; there is almost certainly a maker's mark somewhere on it, but it may only be in the form of a two-letter stamp like "FA" or "CH" (sometimes hidden under the grips). The second one is a French Velo-Dog, made by Manufacture Francaise d'Armes & Cycles de St. Etienne, chambered for the 6mm French Velo-Dog round (most velo-Dogs are chambered for either this round, or the earlier 5.5mm or 5mm Velo-Dog round, but you also sometimes see them chambered for rimfire cartridges or even 6.35 Browning/.25 Auto). 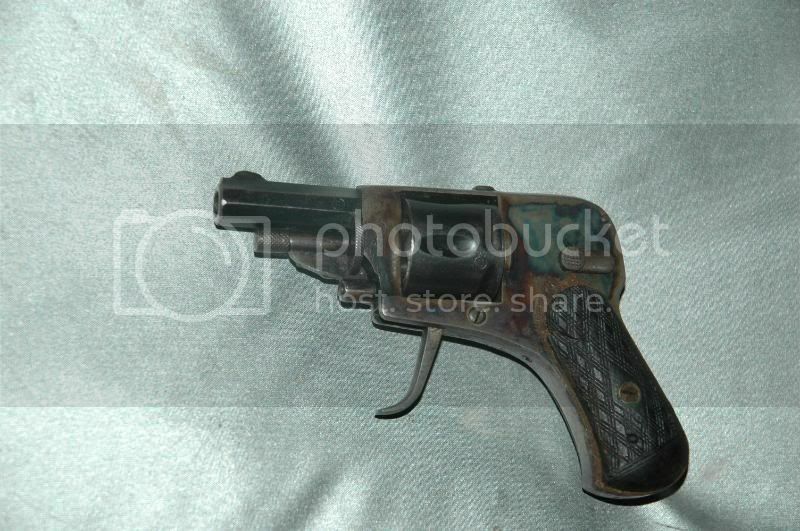 Almost all revolvers of this type were built before the Depression. Some people collect revolvers of this type, and these look to be in fairly good shape, but most of them aren't worth very much, since the ammunition is almost unobtainable, and some of them were questionable to begin with.